James Travis Reeves (August 20, 1923 – July 31, 1964) was an American country and popular music singer-songwriter. 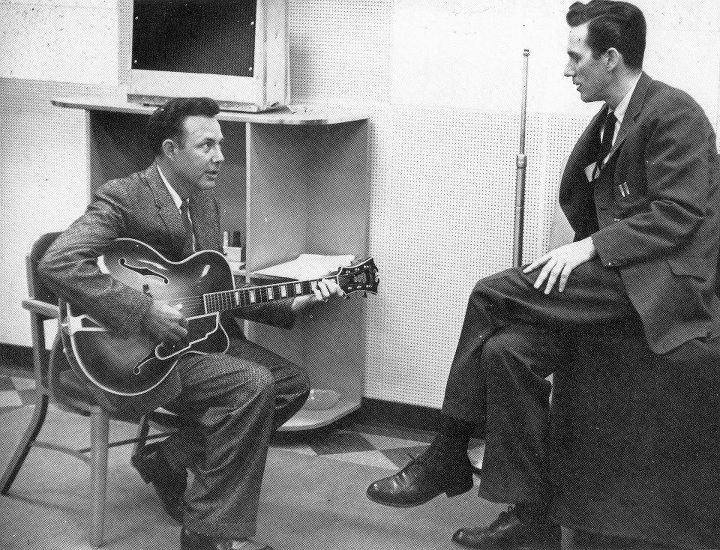 With records charting from the 1950s to the 1980s, he became well known as a practitioner of the Nashville sound. 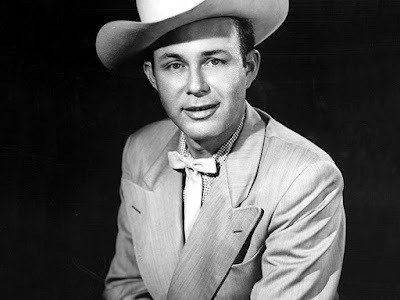 Known as "Gentleman Jim", his songs continued to chart for years after his death. Reeves died in the crash of his private airplane. He is a member of both the Country Music and Texas Country Music Halls of Fame. Reeves was born in Galloway, a small rural community near Carthage, Texas. An injury cut short his minor-league baseball career with the St. Louis Cardinals farm system so he began to work as a radio announcer, and sang live between songs. 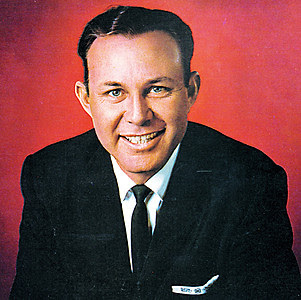 During the late 1940s, he was contracted with a couple of small Texas-based recording companies, but without success, His musical break came while working as announcer on KWKH Radio in Shreveport, Louisiana. Singer Sleepy LaBeef could not make it on time for a performance on the Louisiana Hayride, according to former Hayride emcee Frank Page, and Reeves was asked to fill in. Reeves' singing career was launched. 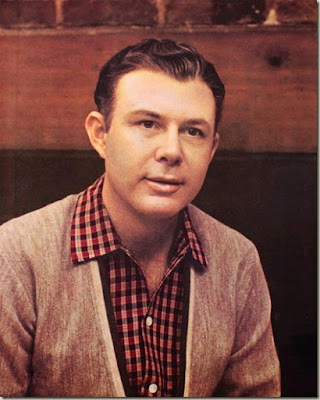 His first country hits included "I Love You" (a duet with Ginny Wright), "Mexican Joe", "Bimbo" and other songs on both Fabor Records and Abbott Records. Eventually, Reeves began to tire of the novelty bracket he had been forced into, and left for RCA Victor. willing to sign Jim, and offered him a 10-year recording contract. Reeves signed, and the Abbot label had released a singer who was due to become one of country music's biggest and brightest stars. 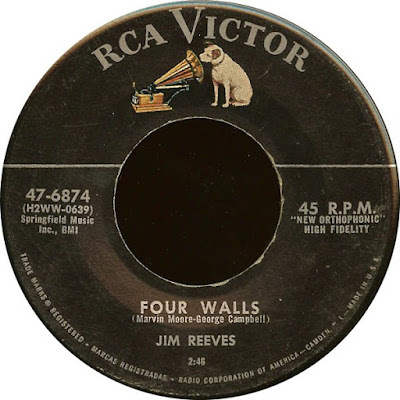 In his earliest RCA Victor recordings, Reeves was still singing in the loud style of his first recordings, a style considered standard for country-western performers at that time. 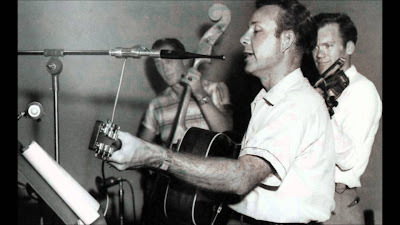 He sought to soften his volume, using a lower pitch and singing with lips nearly touching the microphone, but ran into some resistance at RCA—until in 1957, with the support of his producer Chet Atkins, he used this new style on his version of a demo song of lost love, written from a woman's perspective (and intended for a female singer). "Four Walls" not only took top position on the country charts, but went top-ten on the popular charts at the same time. Reeves had not only opened the door to wider acceptance for other country singers, but had also helped usher in a new style of country music, using violins and lusher background arrangements, soon called "The Nashville Sound." He became known as a crooner because of his warm, velvety voice. His songs were remarkable for their simple elegance highlighted by his rich light baritone voice. Songs such as "Adios Amigo," "Welcome To My World," and "Am I Losing You" demonstrated this approach. 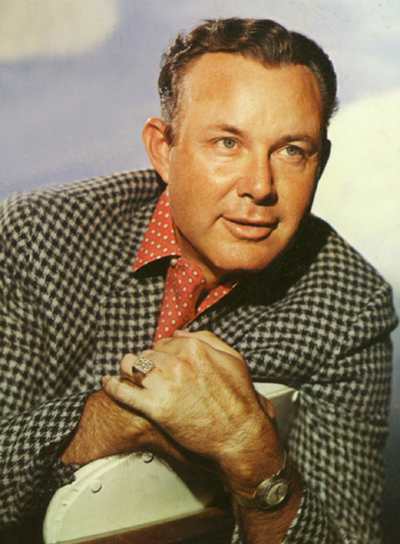 Jim Reeves' Christmas songs have been perennial favourites, including songs such as "Silver Bells," "Blue Christmas," and "An Old Christmas Card". In 1959–60 Reeves scored his greatest hit with the Joe Allison composition "He'll Have to Go," which earned him a platinum record. During the early 1960s, Reeves was more popular in South Africa than Elvis Presley and recorded several albums in the Afrikaans language. In 1963, he toured and was featured in a South African film, Kimberley Jim. Reeves toured Britain and Ireland during 1963 between his tours of South Africa and Europe. Reeves and the Blue Boys were in Ireland from May 30 to June 19, 1963, with a tour of US military bases from June 10 to 15, when they returned to Ireland where they performed in most of the counties. Reeves' last recording session for RCA Victor had produced "Make the World Go Away", "Missing You", and "Is It Really Over?" When the session ended with some time remaining on the schedule, Reeves suggested that he should record one more song. He taped "I Can't Stop Loving You", in what was to be his final RCA recording. He made one later recording, however, at the little studio in his home. In late July 1964, a few days before his death, Reeves recorded "I'm a Hit Again", using just an acoustic guitar as accompaniment. That recording was never released by RCA (because it was a home recording not owned by the label), but appeared during 2003 as part of a collection of previously unissued Reeves songs released on the Voice Masters label. On July 31,1964 Reeves died when the small aircraft he was piloting crashed during a thunderstorm near Nashville, Tennessee. His business partner and manager Dean Manuel (who was also the pianist in Reeves' backing group) was also killed in the crash. Reeves and Manuel left Batesville, Arkansas en route to Nashville, having just secured a deal on some property.While flying over Brentwood, they encountered a violent thunderstorm which proved more than a match for the tiny, single-engined Beechcraft 'Debonair' aircraft. The plane faded from the radar screens at around 17:02, and all radio contact with the craft was lost. One of the major causes of the crash was deemed to have been that the small airplane had become caught in the centre of the thunderstorm and that Reeves had become disoriented by "pilot's vertigo", which would have resulted in him not realizing in which direction the plane was travelling, be it up, down, left or right. 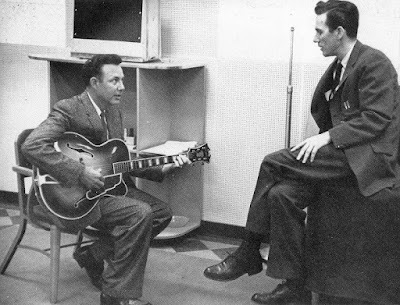 On the morning of August 2, 1964, after an agonizing and intense search (aided by such people as Chet Atkins, Eddy Arnold, Stonewall Jackson and Ernest Tubb) the bodies of Jim Reeves and Dean Manuel were found amongst the wreckage of the shattered plane. 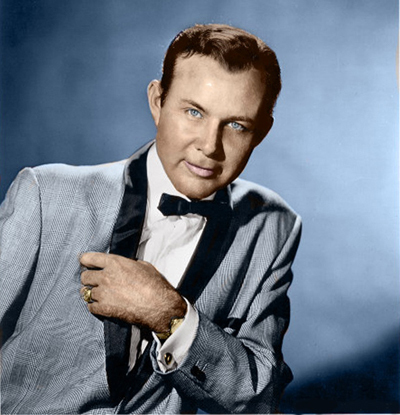 At 13:00 that afternoon, radio stations across the United States announced to their shocked and stunned audiences that Jim Reeves had been killed in a plane crash. In what can only be described as sad irony, riding high in the UK singles chart at the time was I Won't Forget You. The song later became a top ten hit in the United States. 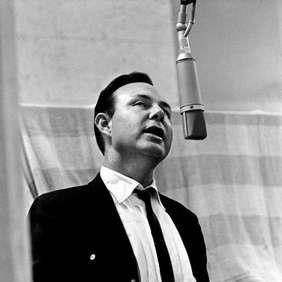 Many thousands of people turned out to pay their last respects to Jim Reeves at his funeral, which took place on August 4, 1964. The coffin, draped in flowers from respectful fans, was driven through the silent streets of Nashville and to Jim's final resting place near his home town of Carthage, Texas. A big thank you to ludovico @ En Musica blog for original link. One of the best. Thank you Bob.